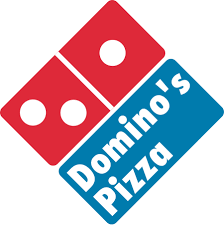 Dominoes Pizza Fundraiser- Treat your family to dinner on Wednesday, March 27th from 2:00-8:00 pm and support Legacy Academy 8th– graders going on the DC, NYC, Pennsylvania trip (20% of the proceeds raised support the kids)! Be sure to mention you’re with Legacy Academy when you order & get your pizza. Dominos in Elizabeth, 796 E. Kiowa Avenue, (303) 785- 7575Thanks for your support! Treat your family to dinner on Wednesday, March 27th from 2:00-8:00 pm and support Legacy Academy 8th– graders going on the DC, NYC, Pennsylvania trip (20% of the proceeds raised support the kids)! Be sure to mention you’re with Legacy Academy when you order & get your pizza. Please give them this flyer or show the flyer on your cell phone. March 13. If you do not see us in your line, swing around to the other side of the school. Middle School Dessert Bar (third Quarter) 2:30 pm in the cafeteria. This has been rescheduled to March 27th. Candidates: The deadline for candidate applications is Monday, March 25, 2019. Each candidate must submit a one-page campaign statement, which will run in the Legacy Ledger on April 8th. Campaigning: Candidates may not campaign inside the school building. However, the candidates are strongly encouraged to campaign appropriately outside of the school building. Absolutely NO negative campaigning will be permitted. Time and location: The election for two board members will be held on Friday, April 26th at Legacy from 7am to 7pm and Creekside Community Church from 8am to 3pm. Voting ballots will not be accepted after 7pm on April 26, 2019. Voter eligibility: Eligible voters shall include parents or guardians of all children currently attending Legacy Academy (no more than two votes per household); teachers currently employed at the school and paid employees of Legacy. Each person may vote only once. • The voter will sign official voting roster confirming their eligibility to vote. • The voter will present Voting Official with valid I.D. • The voter will follow instructions on the ballot, vote as he/she determines, and place the ballot into the collection box. • If a person is unable to vote at the school on April 26th, absentee ballots will be available at the Legacy office April 23– April 25th. These ballots must be returned to the school office no later than 7 pm on April 26th to be counted. Pre-voting and proxy voting will not be permitted. Counting of votes: At 7pm, all eligible votes will be counted. The two candidates with the most votes will be determined. The candidate with the most votes will fill the longest term. In the case of a tie, a run-off election will be held at a later date to be determined and will comply with the election procedures listed above. If the election scheduled on April 26th has to be canceled for any reason, it will be held on the following Friday. The results of the election should be known the night of April 26th (unless there is a need for a run-off or a cancellation). A report will be made available to the candidates and current board members after the counting of the votes are concluded. An announcement to the entire school population concerning the results of the election will be made on the following morning. Hello to all Parents and Staff of Legacy Academy. The time is fast approaching when you will be called upon to elect directors to the Legacy Academy Board. There are two open seats this year. Each seat is for a three-year term. All submissions are due by Monday, March 25, 2019, and should be submitted to Jessicca Marks at jessicca.marks@legacyk8.org.